This is a guest post by Dr Richard Simmons (below, in between Profs Alex Marsh and Catherine Farrell), discussing how to use insights from ‘cultural theory’ to think about how to design institutions to help policymakers think and make good decisions. 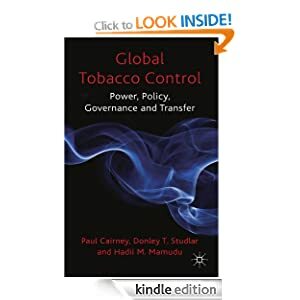 The full paper has been submitted to the series for Policy and Politics called Practical Lessons from Policy Theories. His focus on an ‘internal compass’ describes aspects of fast thinking (using gut or instinct, emotion, habit, familiarity) but without necessarily equating a compass with negative cognitive ‘biases’ that get in the way of ‘rationality’. Instead, an internal compass can be remarkably useful, particularly if combined with a ‘map’ of the ‘policymaking terrain’. Terrain can describe the organisations, rules, and other sources of sources of direction and learning in a policymaking system. Both compass and map are necessary; they reinforce the value of each other. However, perhaps unlike a literal map, we cannot simply design one-size-fits-all advice for policymakers. We need to speak with them in some depth, to help them work out what they think the policy problem is and probe how they would like to solve it. In that context, the role of policy analysis is to help policymakers think about and ask the right questions as it is to provide tailor-made answers. One is that policymakers occupy a ‘rational’, ‘technical’ space, in which everything from real-time data to scientific evidence can be balanced in ‘problem-solving’. This means doing the background work to support authoritative choice between policy alternatives, perhaps via ‘structured interactions’, as a way to bring order to the weight of evidence and expertise. 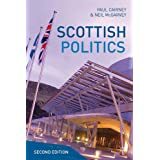 Another is that policymakers occupy a ‘formally structured’, ‘political’ space, in which the contest to have ‘agenda-setting’ power has already been decided. For policy actors, this means learning not to ‘question why’ – accepting the legitimacy, if not the substantive nature, of their political masters’ concerns and (outwardly, at least) directing their attention accordingly. 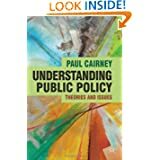 A third explanation, however, is that policymakers occupy a ‘complex’ and ‘uncertain’ space, in which ‘What is a good question?’ is itself a good question. Yet often we lack good ways to ask questions about questions – at least, without encountering accusations of either ‘avoiding the problem’ or ‘re-politicising technical concerns’. That it is a subjectively-normative question that depends on the eyes of the beholder, best aggregated and understood in the realm of ‘the political’ (which returns us to Explanation 2). That it is an objectively-normative question that depends on ‘social construction’ in policy work, best aggregated and understood in the realm of ‘the institutional’ (which returns us to Explanation 3). Option 1 is the stuff of basic politics; it will not be explored further here. This leaves the ‘objectively-normative’ Option2 , which is less often explored. This option is ‘normative’ in the sense that it gives space to framing a problem in ways that acknowledges different sets of values and beliefs, that may be socially constructed in different ways. It is ‘objective’ in the sense that it seeks to resolve tensions between these different sets of values and beliefs in without re-opening the kind of explicit competition normally reserved for the realm of politics. Yet in its basis in the realm of institutions, some might ask: how is ‘objective’ analysis even possible? Step Forward, Cultural Theory (CT)? Importantly, biases combine in different institutional patterns – and the mix matters. Dominant patterns tend to structure policy problems and guide policymakers’ response in different ways. Through exposure and experience, institutional patterns can become internalised in their ‘thought styles’; as an ‘internal compass’ that directs ‘fast-thinking’. No bad thing, perhaps – unless and until this sends them off course. Faulty compass readings arise when narrow thought-styles become ‘cultural blinkers’. As ‘practical wisdom’ may be present in more than one location, navigation risks arise if a course ahead is plotted that blocks out other constructions of the problem. How would policymakers realise when they have led themselves astray? One way might be ‘slower thinking’ – reflection on their actions to question their constructions and promote dynamic learning. CT provides a parsimonious way of framing such reflection. Simplifying complex criteria into just four cultural categories, skilled ‘reflective policymakers’ are facilitated more quickly to ask ‘good’ questions. However, space for such ‘slow thinking’ is often limited in practical policy work. When this is closed-out by constraints of time and attention, what more has Cultural Theory to offer? Meanwhile, as points of congruence and dissonance emerge in this institutional environment, policymakers internal compass bearings show the likelihood that they might actually see them. Together, these tools up-the-odds of asking ‘good’ questions even further than reflection. Actors learn to navigate both change and the obstacles to change. For some, the tools provided by CT may seem blunt; for others, as esoteric and ephemeral as the institutions this theory purports to portray. The recent work reported here certainly requires further refinement to reinforce its validity and reliability. But the effort of doing so may be a small price to pay. The practical potential of CT’s meaningful measurement makes further progress a beguiling prospect.